100% Natural and Vegan Face Scrub. Chemical Free. Paraben Free. Cruelty Free. The fine brown sugar gently exfoliates dead skin cells and stimulate blood flow while the rich Rosehip and Jojoba butter softens and deeply moisturises the skin while stimulating cell renewal to rejuvenate and refresh. The rich Rosehip & Jojoba will leave a film of their natural oils to fully moisturise, nourish and rejuvenate your skin overnight. Gently massage any residual oils after rinsing and wipe off using a warm towel. Pat dry. If your skin is looking dry, patchy and lack lustre then this rich, luxurious Rosehip Butter Rejuvenating Brown Sugar Face Scrub is exactly what you need. 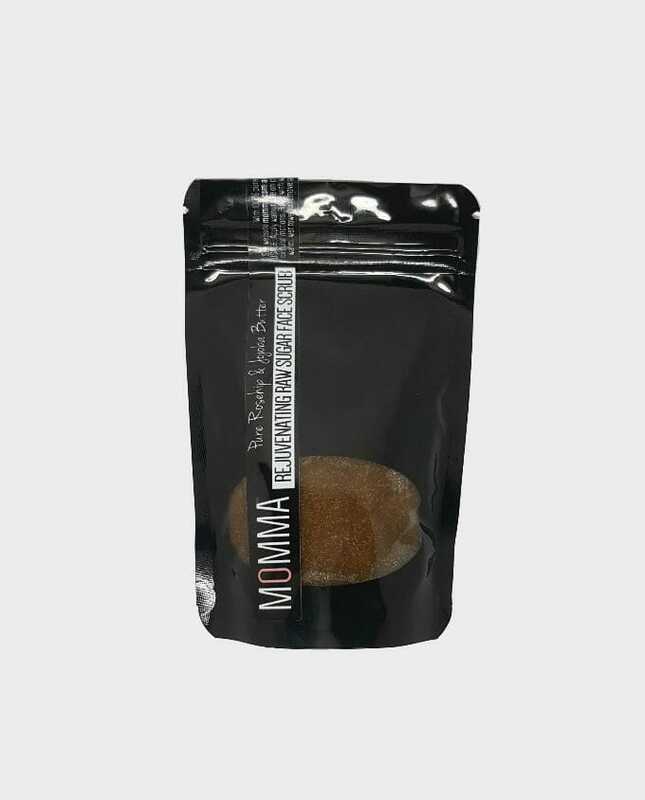 The fine brown sugar gently exfoliates dead skin cells and stimulate blood flow while the rich Rosehip and Jojoba butter softens and deeply moisturises the skin while stimulating cell renewal to rejuvenate and refresh. Rosehip oil is known for it’s anti-ageing and skin smoothing properties and are great for pigmentation, scars and minimizing wrinkles. Jojoba oil is rich in Vitamin E and helps to clear impurities and heal the skin. This creamy scrub is also enriched with a relaxing blend of pure essential oils of Sweet Orange, Ylang Ylang, Patchouli, Jasmin, Rose, Cardamon, Bergamot, Sandalwood and Clove so you can feel completely relaxed and rejuvenated after each session! Feel and see the difference! You will fall in love with your new baby soft skin! The rich Rosehip & Jojoba will leave a film of their natural oils to fully moisturise, nourish and rejuvenate your skin overnight. Gently massage any residual oils after rinsing and wipe off using a warm towel. Pat dry. I can’t explain how my face feels at the moment because it’s just so amazing!! Never has my skin felt so smooth and rejuvenated after using the Rosehip and Jojoba Butter face scrub. Not to mention the smell ~ it’s heavenly. I feel like I’ve just been to a dayspa for a facial. Can’t recommend this product enough and now I’m dying to try all the other products. Love love love! I got this with the Mother’s Day hamper a while back and forgot I had it in my bathroom up until the other day when I was looking for it. OMG, best face scrub I’ve tried thus far! At first glance, yep, it looks just like one you could make BUT the smell is diiiivine! I loved it right then and there. But then I went ahead and started scrubbing my face – man. The smell, together with the gentle exfoliation you feel during and after it, was amazing. Of course I’d buy this again. No doubt.